Oil rig on BLM land. Photo by DOI. This week, Baker Hughes, Inc. released its numbers on how many oil and gas rigs are active throughout the world right now. Here in New Mexico the numbers are up slightly. 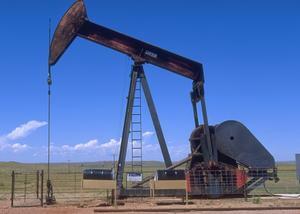 As of last week, there were 87 active rigs in New Mexico. That compares with 83 this time last year.